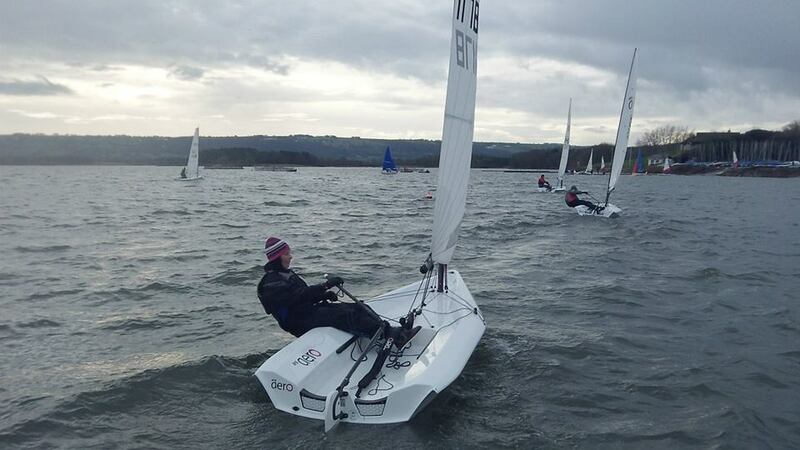 17 sailors pitched up to be enlightened on 'Everything Aero' at the Class Association organised Chew Valley Fleet 'Lift-Off' weekend for the new local fleet and visitors. 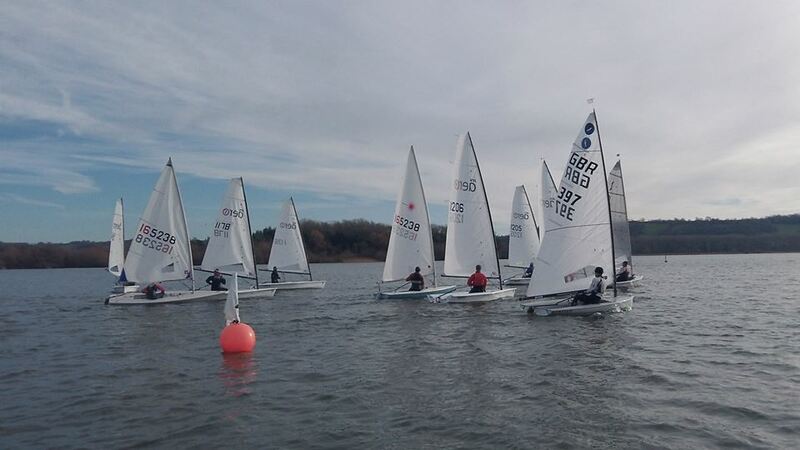 The 8 boat fleet consisted of five of the locally owned boats, one visitor and eleven eager demo sailors who took it in turns over the weekend in the two demo boats provided by RS. Sailors travelled from as far afield as South Wales and Reading. We were always taking a chance scheduling this day in January and were greeted by icy sleet to unload and rig. However, after just a ten-minute delay the sleet stopped on cue and we were amply rewarded by a sunny day, a nice medium breeze and a beautiful back drop of fresh snow on the nearby hills. It couldn’t have turned out better for us! Kicking off with an informative briefing, we ran through the boat; rigging, launching, boat care and design. Whilst the ethos of the Aero is simplicity it remains packed full of small design features that are all there for good reason! Onto the briefing the sailing side of things; sail controls, technique, boat handling and recovery - describing many Aero specifics where the lightweight 30kg hull and responsive carbon rig may vary from previous classes sailed and an adjustment in techniques may be required, as they would when you change between any two boats. We then took to the water and with a simple windward leeward course practiced our modes of sail and boat handling to the whistle! A short break for lunch to de-brief and re-brief, experience Chew’s fantastic hot catering, and we were ready to go again. This time a short series of coached races. In all we fitted in about seven short races, firing a new 2 minute gun as the last boats were finishing. We used 30 second delay pursuit style starts with the bigger rigs chasing down the smaller ones. 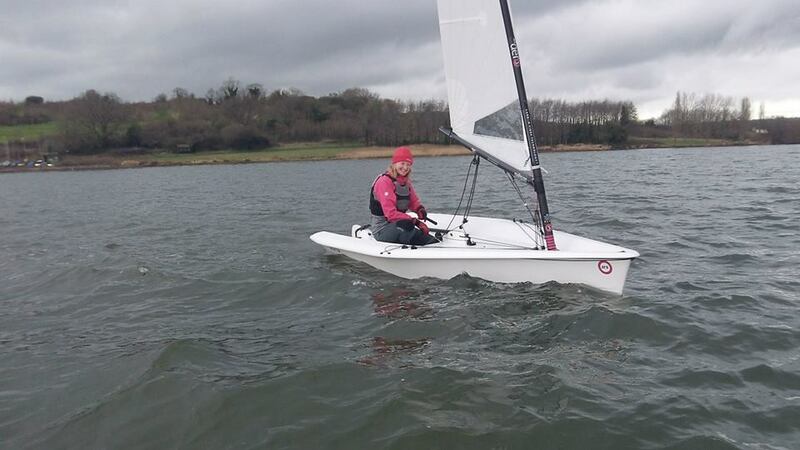 It was interesting to welcome in the local Laser Radials, Laser, Solo and Europe, who all added to the short races and enjoyed taking turns in the two loan RS Aeros. Chew is proving to be a stronghold for lightweight adults enjoying the smaller RS Aero 5 rigs with half of their 8 boat fleet consisting of ladies and light males with access to the 5 rig. As is becoming a Lift–Off tradition we re-convened in the club for final debrief and Birthday cake! 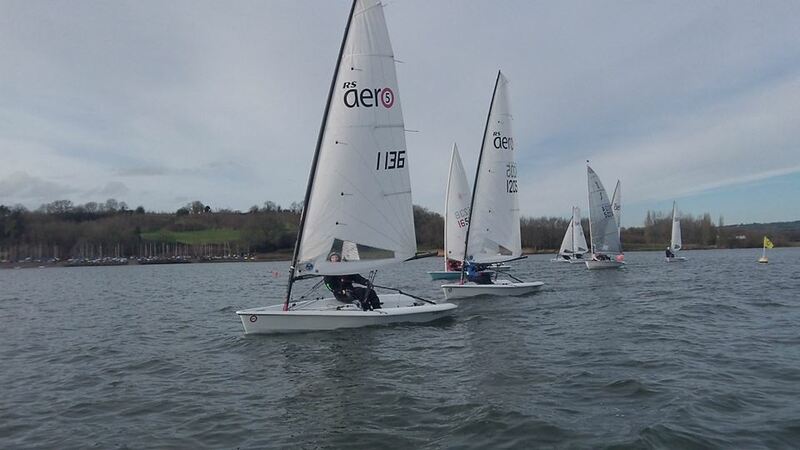 All in all, it was a most enjoyable weekend with the loan boats remaining at Chew for Sunday’s club racing. We certainly made the very most of a January day and enjoyed some very positive feedback. Sadly, the results sheet did not survive. I had my hands full and it became soaked on the floor of the rib! Everyone had plenty to work on.